Lotus Condominium (Lotus Condo Town1) is located near Central department store, Jasmine Building, Software Park building and Muang Thong Thani. 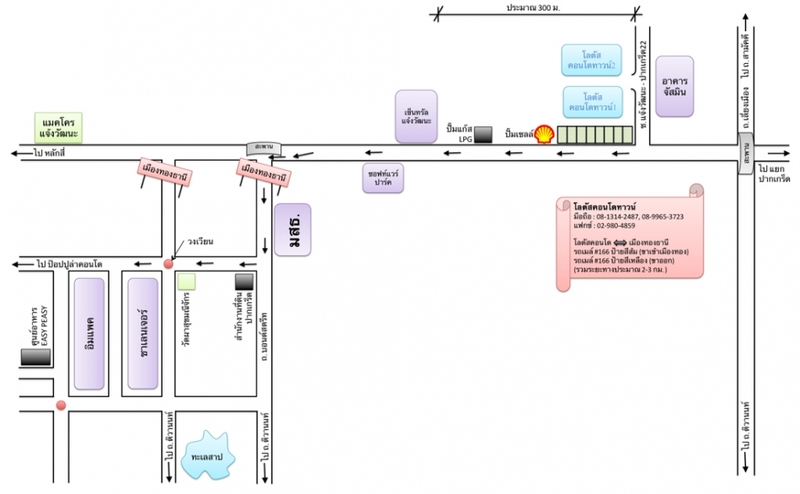 You can take van or bus no.166 to Muang Thong Thani. This entry was posted on Friday, March 2nd, 2012 at %I:%M %p. It is filed under Central Chaeng Wattana (Lotus1). You can follow any responses to this entry through the RSS 2.0 feed.